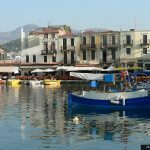 Rethymnon is one of the most popular towns to visit on the West coast of Crete. It has everything you could need for an amazing holiday. You can relax on the white sandy beaches, explore the imposing Fortezza Fortress or barter for silver and gold jewellery. 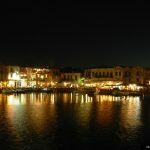 Rethymnon is an ideal base to explore the rest of Crete including the quiet southern villages like Sfakia and Loutro. 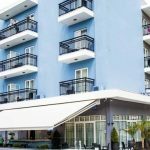 The town itself is popular with visitors from all over the world with stunning restaurants and Taverna’s serving up everything from traditional Greek dishes, freshly caught fish all the way through to the best of European cuisine. 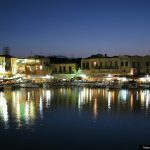 The town of Rethymnon has some interesting sights which are covered here, but also some excellent beaches, Taverna’s and waterside cafe’s that you can visit on your holiday. 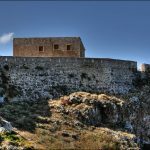 Some of the sights you may want to visit are Fortezza Castle, at the top of a low hill named “Palaiokastro” it dominates the town. It was built in 1590 to protect the city from the pirates raids and the Turks. 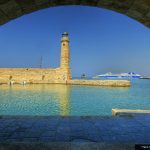 It has played many roles in the protection of Rethymnon, and was used all the way up until WWII. 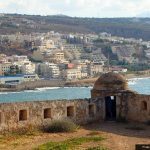 To see the Fortezza castle today you can easy access it through the alleyways of Rethymnon Old Town or following the coastal road for the Venetian Harbour. 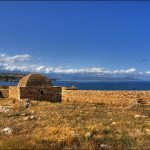 Most of the fortress remains intact and you can see the original cannons that protected Rethymnon from bandits and pirates. More than that the fortress is huge and you can go inside and see the mosque and other areas of interest. If you have chance visit The Venetian Loggia, a very elegant building of the 16th century, that used to be a Venetian gentleman’s club but today houses the information office of the ministry of culture and a sales point of the archaeological museum in Rethymnon. If you want to enjoy a bit of greenery and a place to relax in the hustle and bustle of Rethymnon then try the Municipal gardens, which are absolutely stunning and very tranquil and picturesque. 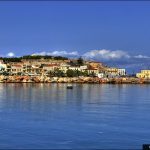 Throughout the year various activities are organized which draw people from all over Crete. The biggest of these is the Wine Festival which is held here annually at the beginning of July. 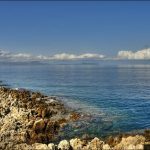 Another festival is held on 7-8th of November, in memory of the destruction of Arkadi Monastery. Another well known building in Rethymnon is The Archaeological museum of Rethymnon is opposite the entrance of the fortress, exhibits objects from the Neolithic to the Roman period, found at the prefecture of Rethymnon. Clay figurines, funerary coffers, jewellery, grave offerings, statues, glass vases, red-figure vases, frescos and bronze vessels are just some of the many items on view. The museum is open all year round and access to the museum only costs a few euros to support its upkeep. 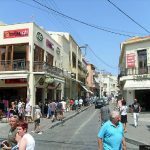 If all the sightseeing is a little too much then why not explore the town of Rethymnon famous for its exquisite gold and silverware, the shops sell at prices lower than that of the UK and the quality is excellent. While wandering through the town centre you may come across the Rimondi fountain which is situated at Platanos square, the centre of the Venetian town. 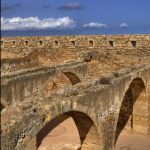 It was built in 1626, by A. Rimondi, in order to provide the people of Rethymnon with drinkable water. Next to the Rimondi fountain you can relax in the small cafe bar Vasiliko and enjoy a frappe or two. This is the perfect place for a photo opportunity, although small the Rimondi fountain played a huge role in Rethymnon history and culture. 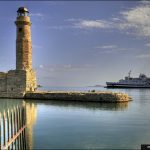 Built in 1590 to protect Rethymnon from the Turkish and Pirate raiders of the day, the castle is an imposing landmark which dominates a large area of the Rethymnon seafront. 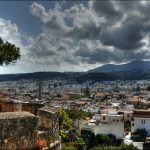 It was built on Palekastro hill, which is rumoured to be the site of the ancient Rithymna Acropolis and the Temple of Apollo. The fortress is actually of Venetian origin, and was built more to protect the Venetian populace that currently held rule of this part of Crete. The Cretan people were forced into labour to build this fortress which took many years. The castle has passed through many hands over the years, and the buildings have been razed and built countless times by each set of rulers that controlled Crete. At one point a large Turkish army controlled the fortress and had used the fortress for their own arm garrisons and homes. 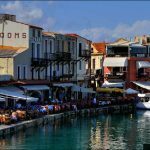 If you want to tour the castle or fortress of Fortezza, then you can reach it through Rethymnon Old Town, or by following the Venetian harbour up to the entrance. 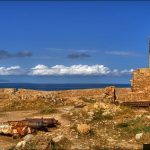 There are many different sights to see within the fortress, some are still under reconstruction but the “must sees” of Fortezza have to be The Church of Agios Theodoros, Gunpowder Magazines, Councillors residence, Fortezza Storerooms and the East and West Gates of Fortezza.